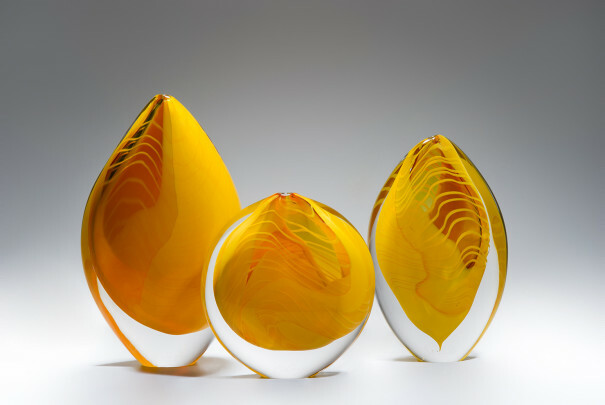 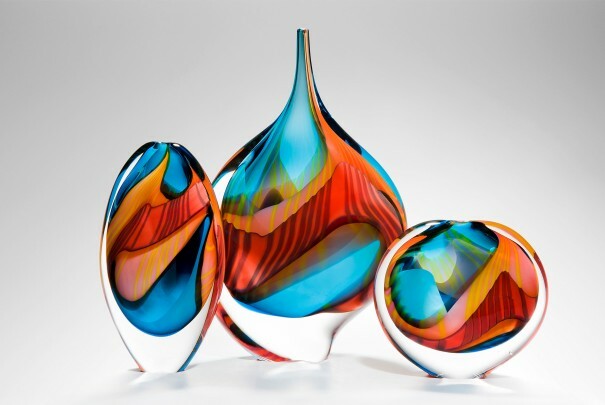 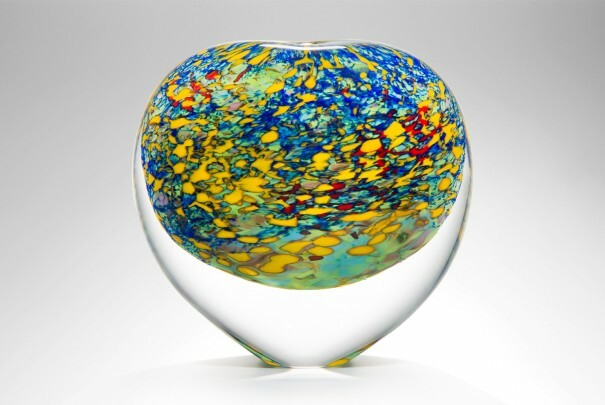 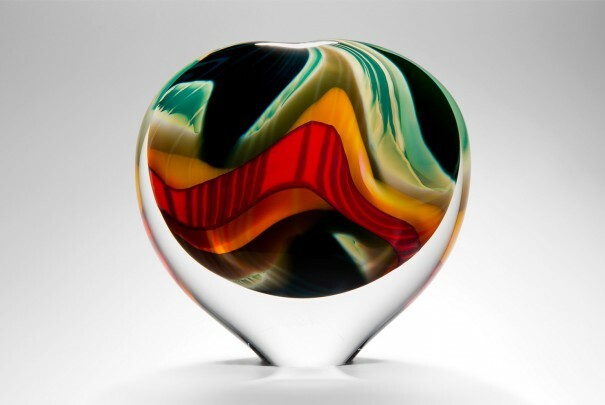 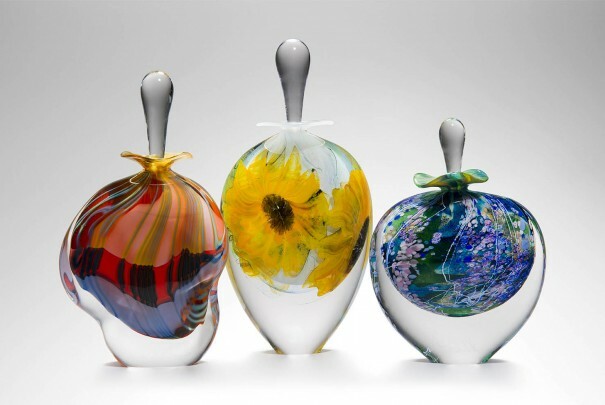 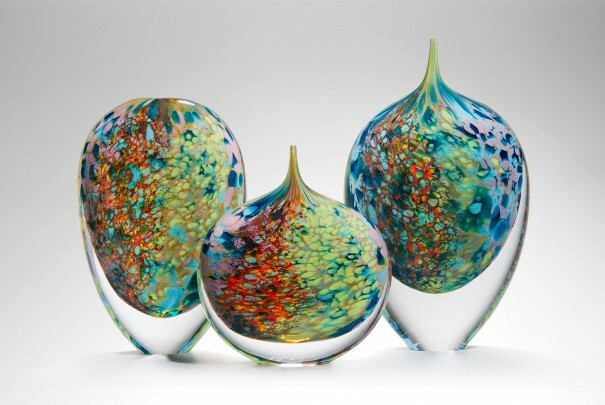 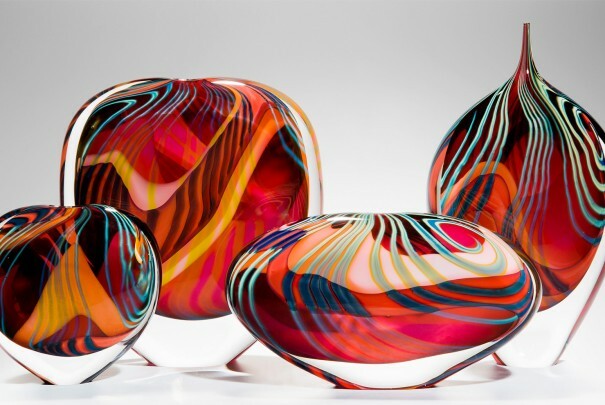 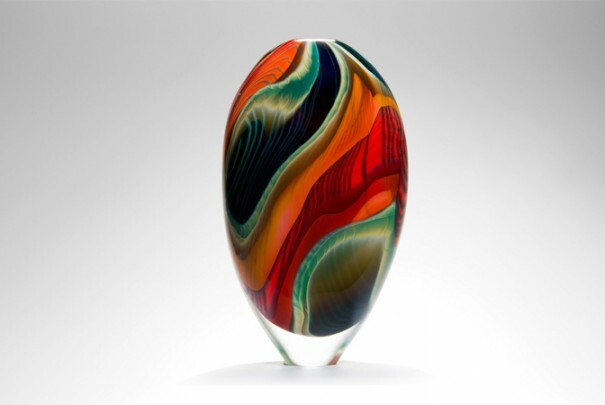 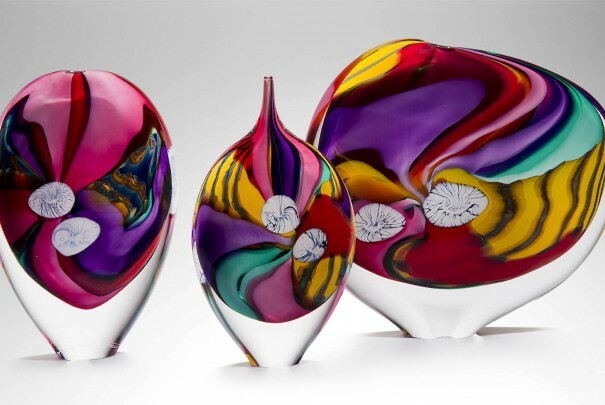 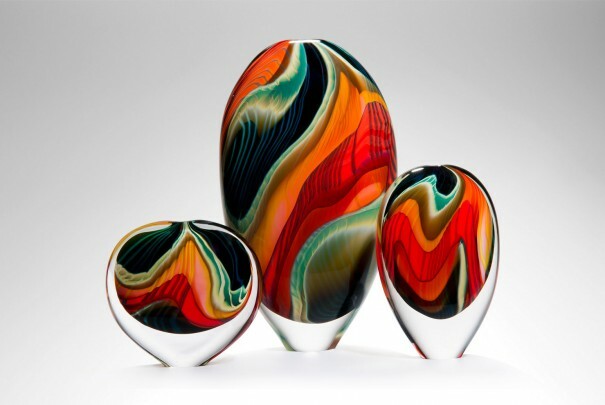 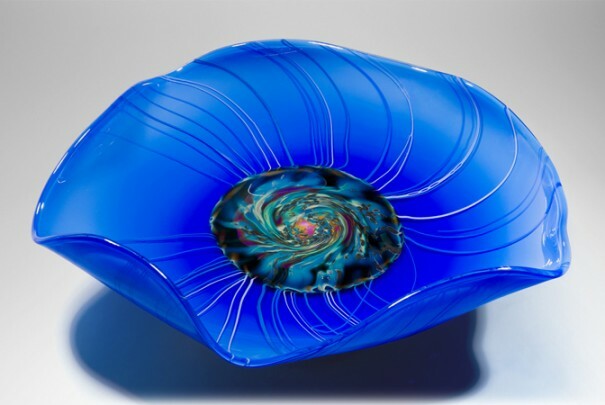 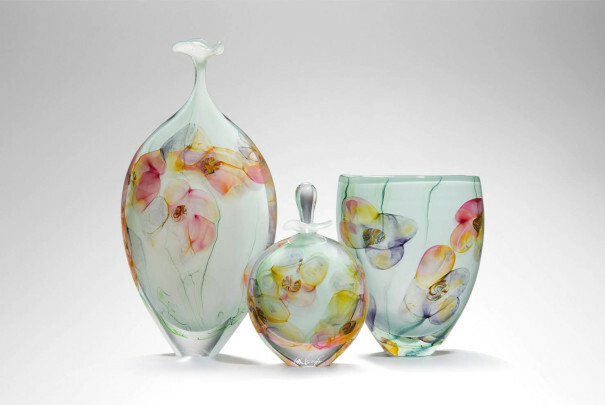 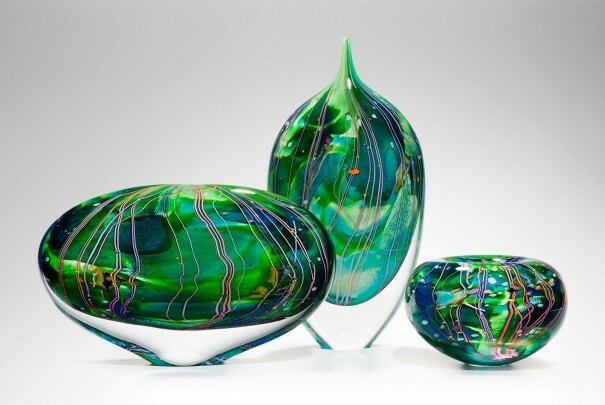 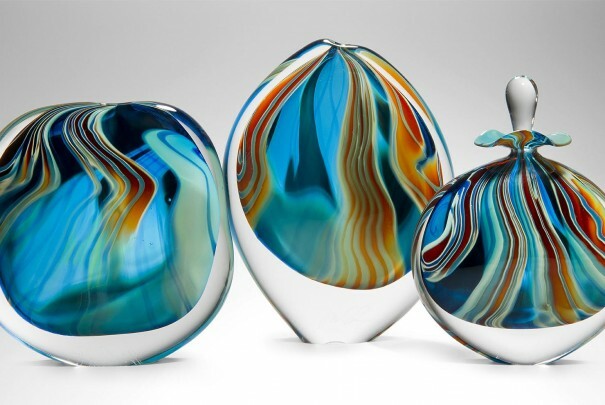 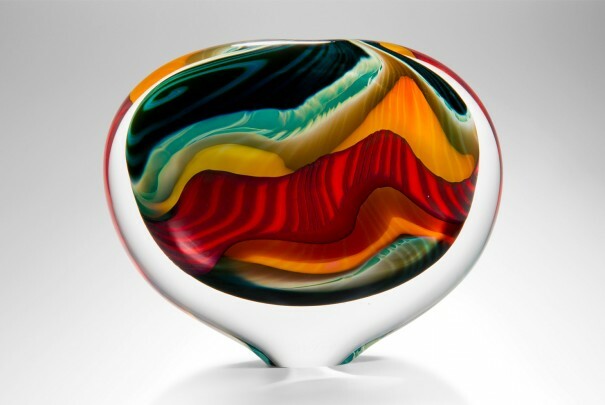 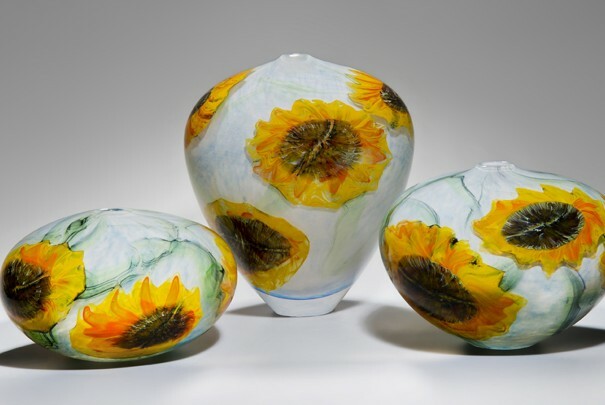 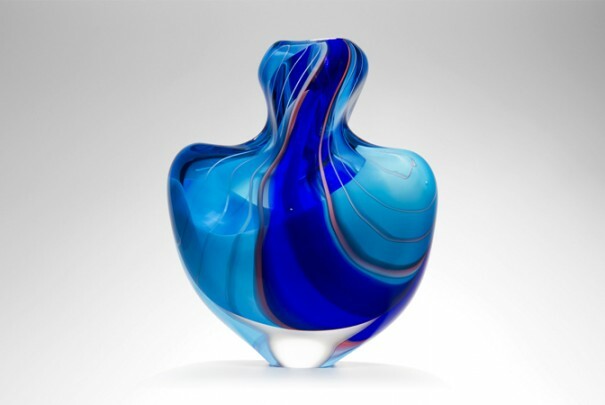 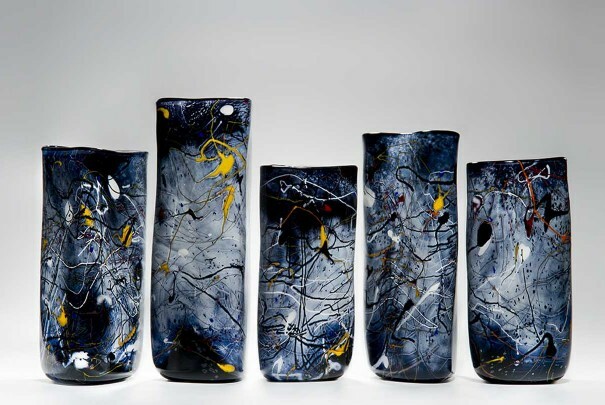 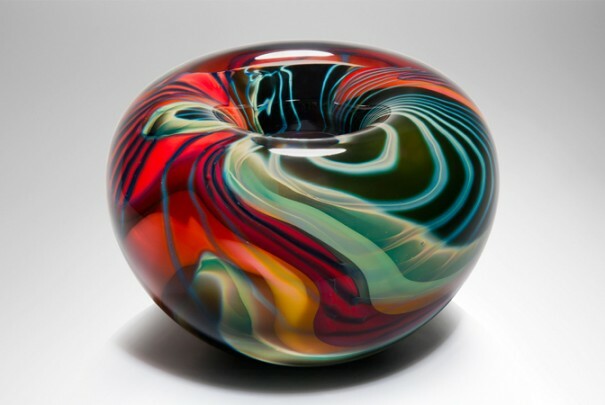 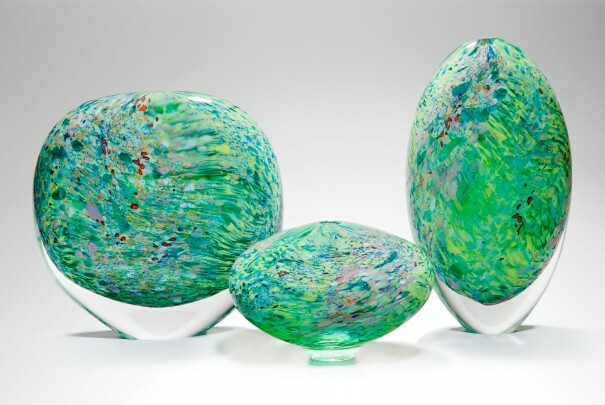 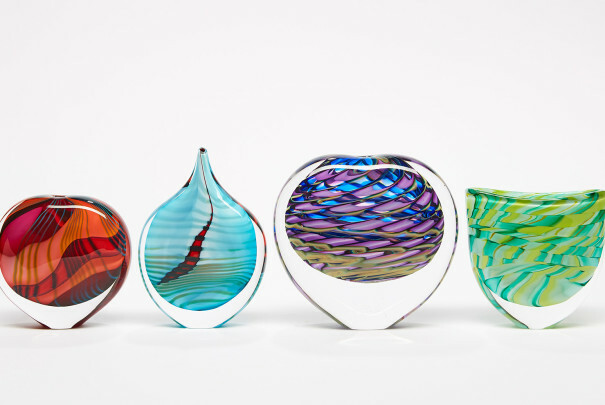 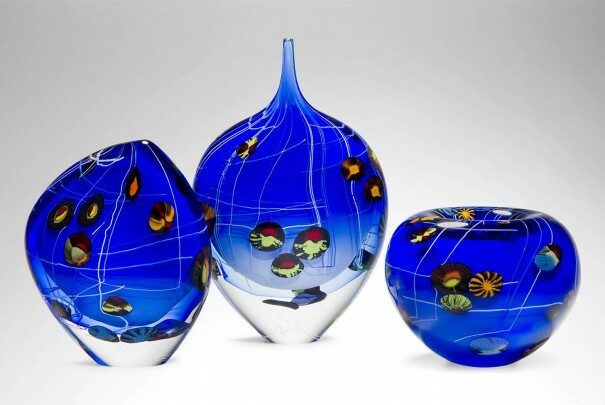 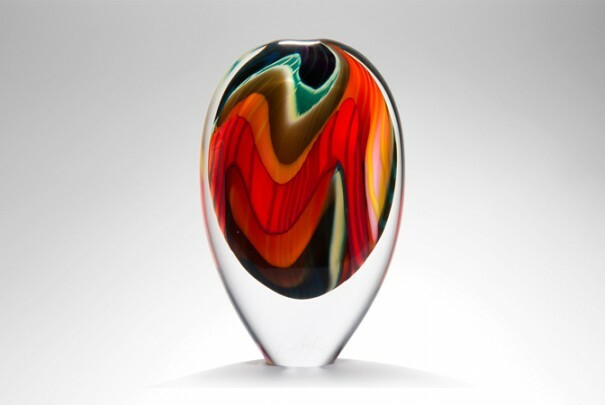 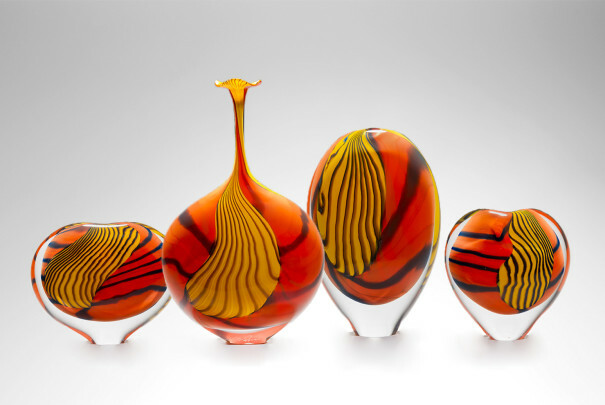 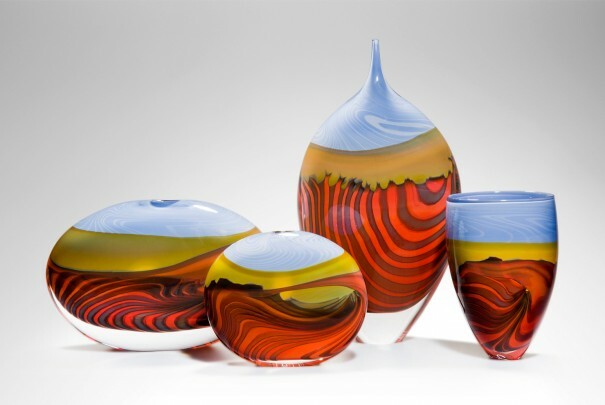 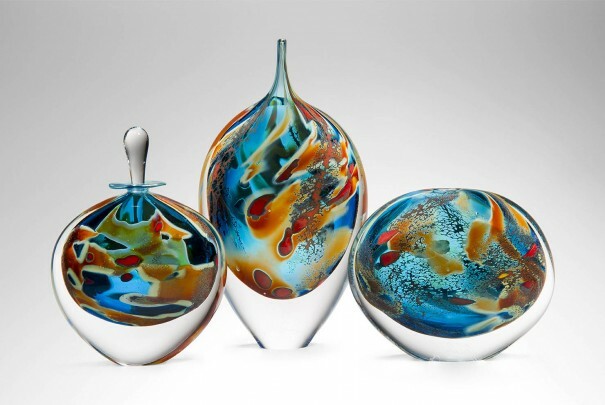 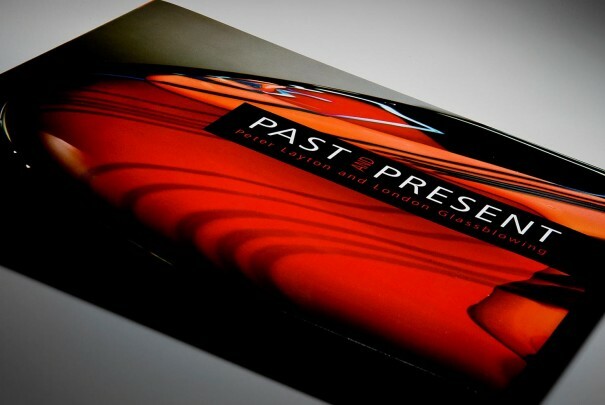 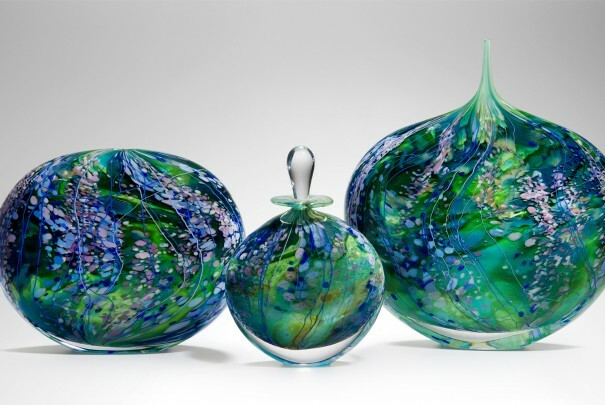 Renowned for his flamboyant painterly approach to glassmaking, many years ago Peter Layton developed Paradiso, which grew to become one of his signature series. 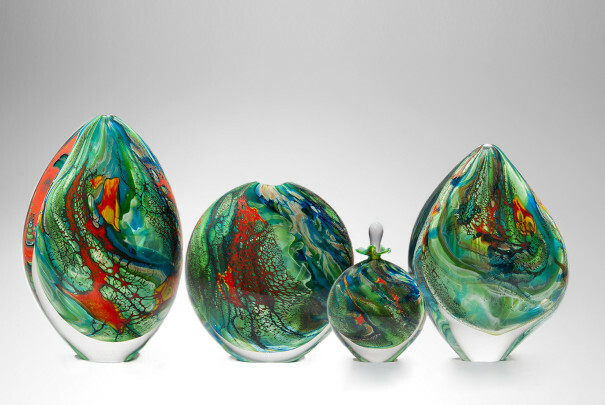 Paradiso has undergone a number of evolutionary phases and colour-ways. 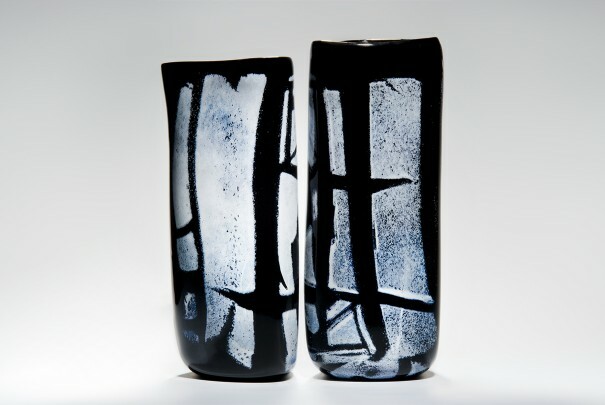 Peter’s gestural painterly qualities are given a greater sense of mystery and depth in the subtle tonal overlays of this incarnation. 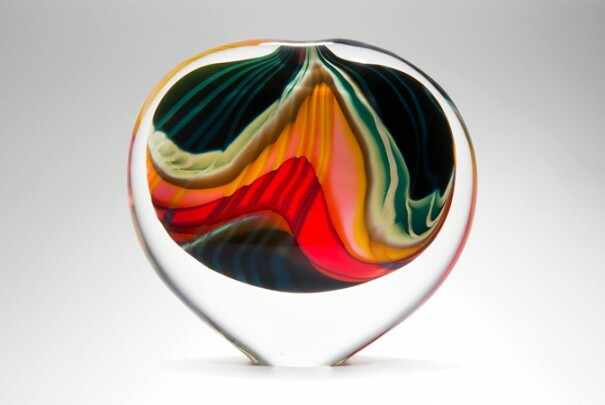 It is called Black Paradiso, but in fact the salient difference is the inclusion of a reactive purple.